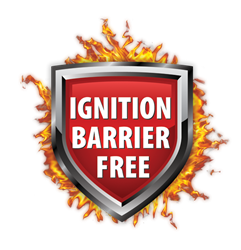 Exclusive engineering approvals for Icynene Classic Max and Icynene Classic Plus broaden the spray foam manufacturer’s ignition barrier free spray foam insulation portfolio. "The testing was also the first to focus on trusses and allows us to better understand the structural integrity of the home pre- and post-fire. Icynene is the first spray foam manufacturer to test structural integrity." Advanced testing by leading spray foam insulation manufacturer Icynene, in collaboration with professional engineering evaluation group, DrJ Engineering, has broadened the organization’s already industry leading fire approvals to be the first to include reduced foam requirements, structural integrity of trusses and the addition of Icynene Classic Plus™ to new and existing approvals. The unique approvals complement the existing End Use Configuration testing exclusively conducted in association with the ICC-ES and an ICC-ES accredited fire consultant for its Icynene Classic Max™ product, placing Icynene well ahead of other spray foam manufacturers in the market. The exclusive new approvals from DrJ Engineering address several key aspects pertaining to unvented attic applications to allow builders to cost-effectively construct the safest family homes with high-performance, quality spray foam insulation materials - Icynene Classic Max™ and Icynene Classic Plus™. The latest approvals also include a certified engineer’s seal by state allowing for greater acceptance by local code officials. 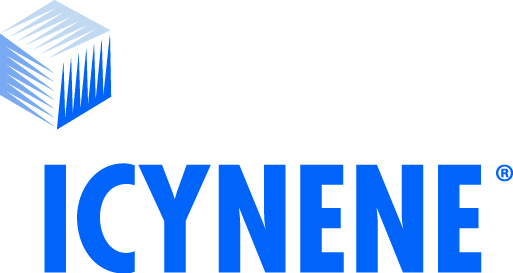 “Through our commitment to comprehensive testing and evaluation, Icynene is affirming its pledge to delivering high-performance, quality spray foam insulation products as well as its position as a true industry leader. Deeper testing with third-party experts and fire consultants has allowed us to broaden the scope in which both Icynene Classic Max and Icynene Classic Plus can be used, particularly in the case of unvented attics and crawlspaces. The testing was also the first to focus on trusses and allows us to better understand the structural integrity of the home pre- and post-fire. Icynene is the first spray foam manufacturer to test structural integrity. No other spray foam manufacturer has conducted such extensive, exclusive and thorough testing,” said Icynene VP Engineering, Paul Duffy. “Icynene Classic Max and Icynene Classic Plus are the most comprehensively fire tested spray foam insulation products on the market giving builders a distinct performance-based and cost-effective advantage over traditionally-insulated unvented attics and crawlspaces. And we have the added advantage of an engineering seal by state ensuring that residential projects can continue without construction delays,” said Mr. Duffy. The DrJ Engineering Technical Evaluation Report for both Icynene Classic Max and Icynene Classic Plus - TER #1406-03 - can be downloaded by state from the Icynene website (http://www.icynene.com) or via the DrJ Engineering website (http://www.drjengineering.org).